I love eggplant for its rich meaty flavor and love it picked fresh in the height of summer. 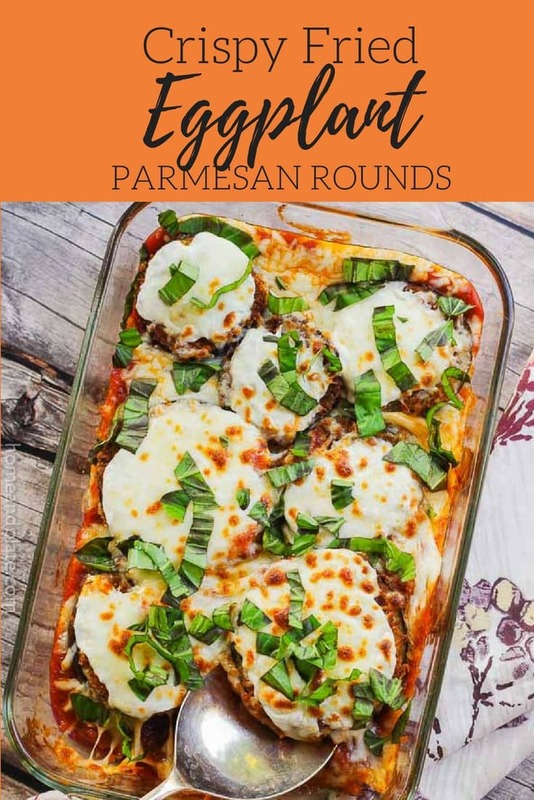 This crispy fried eggplant Parmesan is easy to make and delicious with my homemade Meat Lover’s Tomato Sauce. 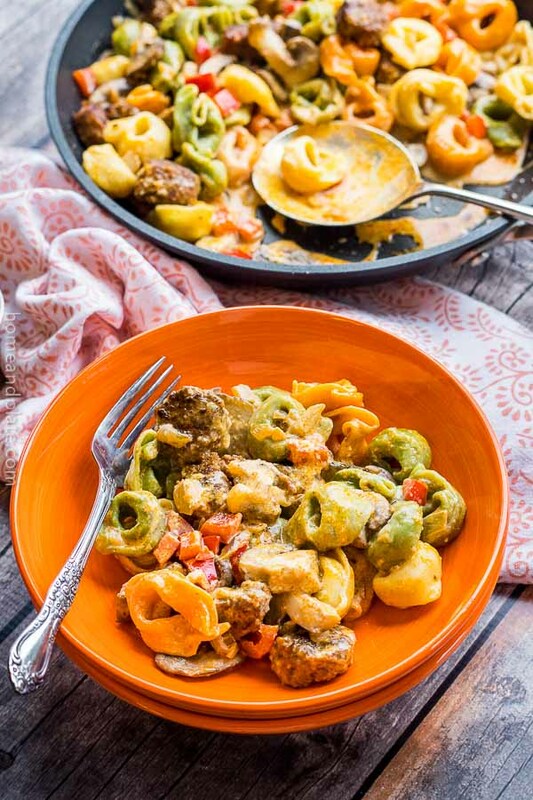 With the added crunch from the breadcrumbs, the creamy texture of the cheese and fresh tomato flavor from the sauce, this meal is perfect for Sunday dinner or for any day of the week. 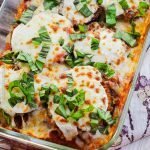 I’ve grown many varieties of eggplant in my garden and love it in the oven or on the grill. We are so lucky that it is available year-round. I remember my father-in-law telling us how much he loved eggplant but was only lucky enough to eat it a few weeks out of the summer because it was considered such a delicate tropical rarity in the early 1940s. 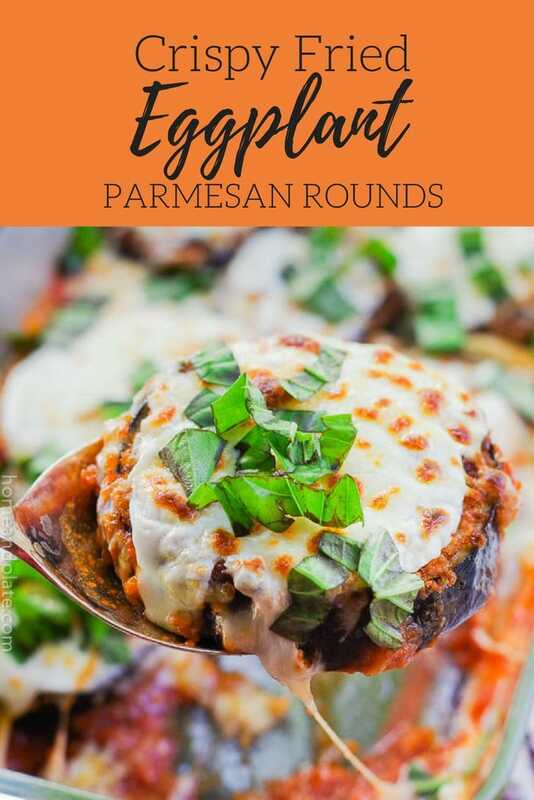 There are so many great eggplant recipes but today I share one of my husband’s favorites – crispy fried eggplant Parmesan rounds. Should I fry or bake the eggplant for the best result? Frying the eggplant gives each piece a crispy, crunchy flavor that can’t be replaced by baking. Salting the eggplant for a half hour draws out the water in the eggplant and flavors each slice. It also keeps the eggplant from absorbing too much oil during frying. Transfer the fried rounds to a casserole pan, load up the mozzarella cheese and marinara sauce and bake until the cheese is bubbly and melted. A sprinkle of fresh basil from the garden and this recipe is done! Serve it alone or on top of your favorite pasta. 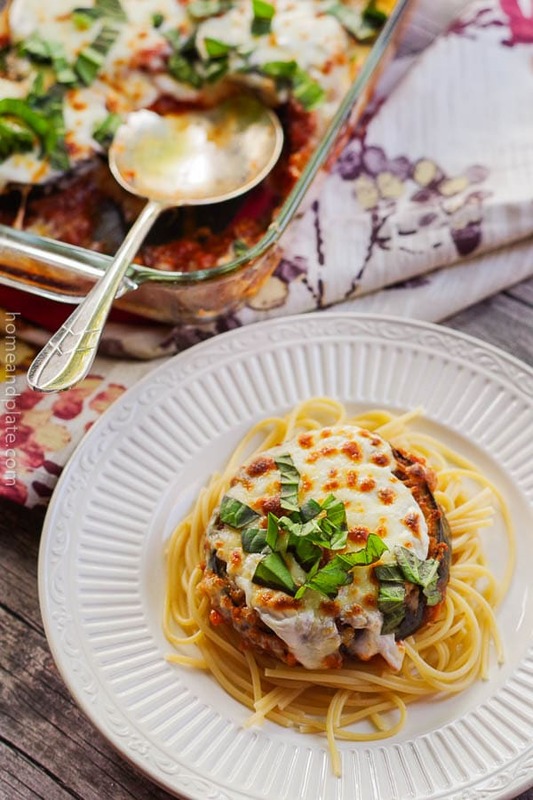 Want to learn how to make this Crispy Fried Eggplant Parmesan? Slice the eggplant into round circles about a 1/4 inch thick leaving the skin on. Sprinkle the eggplant with kosher salt and allow the eggplant to sit for 30 minutes. Then rinse and pat dry the slices with paper towels. Preheat the oven to 450°F. Dip each slice into the egg and then immediately into the breadcrumbs coating each side well. Add salt and pepper to each disc. In a large sauce pan, heat the oils together to medium high heat. Once the temperature has been reached reduce the heat to medium and add the eggplant slices. Fry each round for about three minutes a side or until golden brown. Reduce the heat if the temperature is too hot or if the eggplant is cooking too quickly. Once the eggplant is golden brown remove it to a separate baking dish that is coated with a thin layer of tomato sauce. Top each round slice with the shredded mozzarella cheese and place it in the oven and bake it until the cheese has melted, about five minutes. 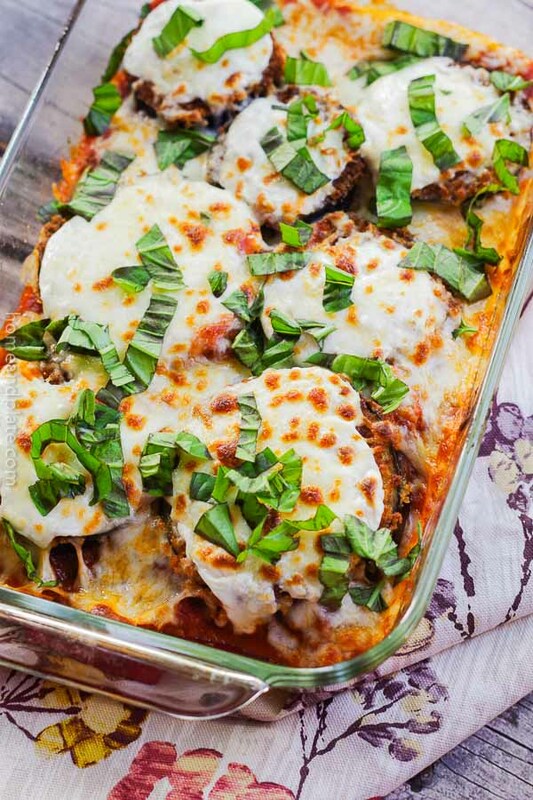 Top each eggplant slice with fresh basil, more tomato sauce and fresh Parmesan cheese. Serve with a side of spaghetti. 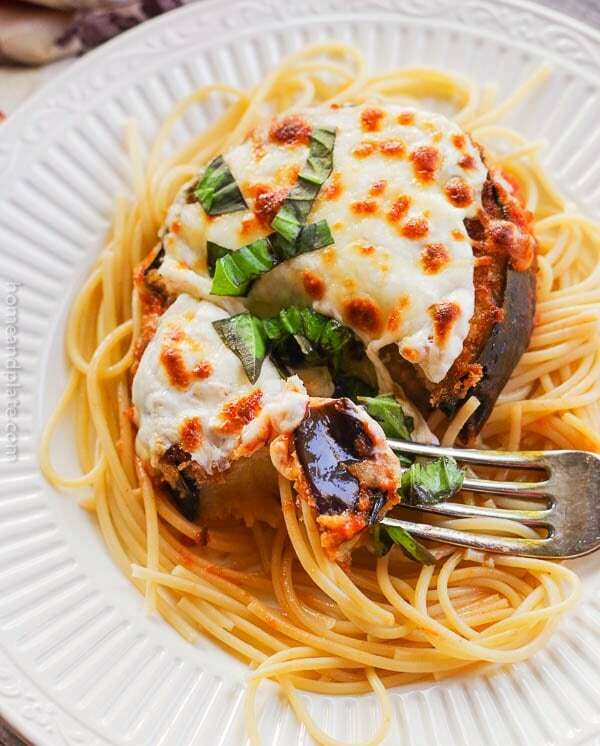 I’m such a fan of eggplant and this looks absolutely delicious! I just got a bunch of eggplants from my garden! This is the perfect recipe to use them for! 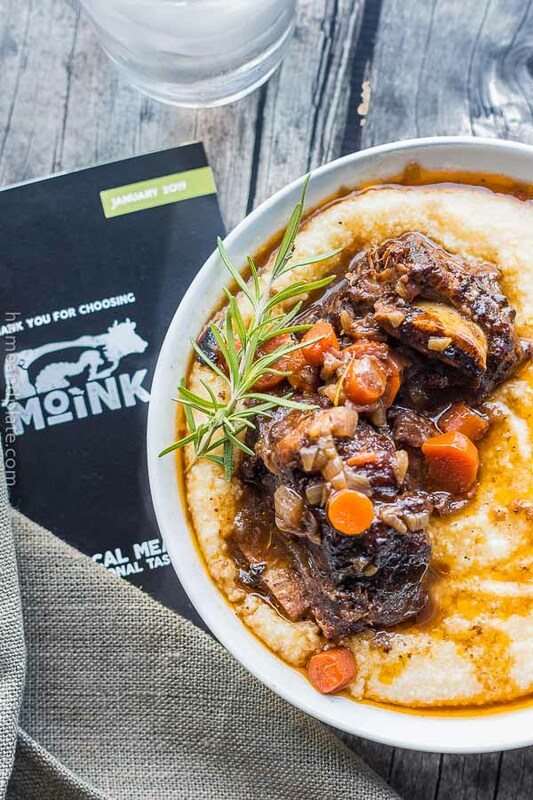 Great use of recipe that adds texture and great flavors! Looks awesome by the way! Oh, Yum!!!! This sounds amazing! I have an eggplant that I need to use up. Thank you! This looks so cheesy and so yummy AND it’s vegetarian. Love it! This has me drooling over here! What a delicious way to enjoy eggplant! Adding this to the dinner menu soon!